In their ever-widening search for somebody who is not Mitt Romney, conservatives are now souring on Rick Perry and turning their desperate, flailing hopes toward Chris Christie. For his part, Christie says he’s not running (but Republicans note that he keeps acting the part). But should the New Jersey governor decide to dive into the shallow end that is the GOP nomination race, here’s a lesser known part of his past that might doom him in the general election. 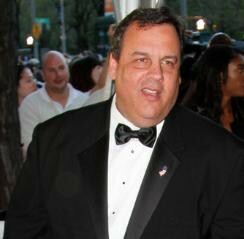 Christie’s failings with hard-right Republicans have been well documented. He favors “some of the gun-control measures.” He has gone from denying climate-change to an admission that “climate change is real.” Maybe most egregiously, he appointed a judge with ties to the Muslim Brotherhood. Also harmful, Christie is both a hippo and a RINO. Yet, as I discovered while among Michele Bachmann’s doomed followers, Christie is still the top name of many conservatives’ “dream ticket.” Yet, should he enter the race and get past the primary, his chances in the general election are dicey. And there’s one particular incident in his past that’s practically a gift-wrapped present to Democrats. But it gets worse for Christie. In a detail that practically writes its own commercial script, the Wall Street client on whose behalf Christie lobbied was the Securities Industry Association. Which, at that time, was led by one Mr. Bernard Madoff. The bottom line for Obama’s communication team: As a lobbyist, Chris Christie worked to remove securities fraud from a consumer fraud act on behalf of an organization run by Bernie Madoff. It’s exactly the kind of scandal that’s easy to understand no matter who you are, involves a universally despised villain who has come to represent all the illegality of the 2008 market collapse, and it would be devastating to Christie in much-needed Florida. Photo by Debby Wong, via Shutterstock.